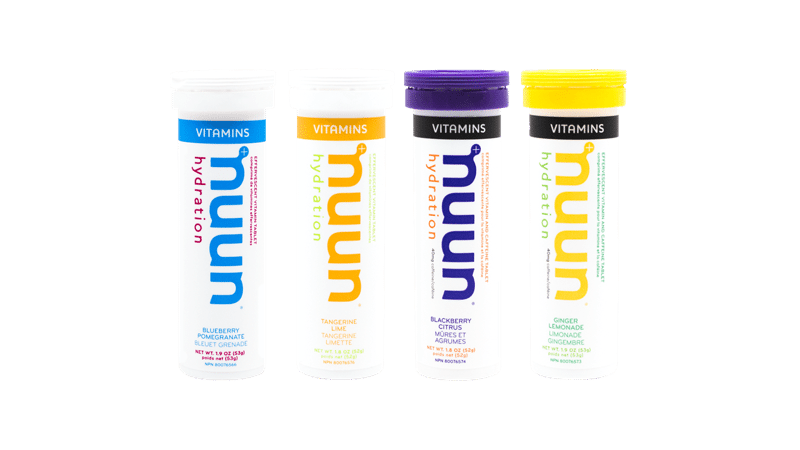 Nuun, the ‘leading sports drink brand in sports specialty and natural foods retail in North America’ is expanding the availability of its recent hydration innovation, Vitamins, into Canada with the aim of addressing the needs of daily wellness and healthy hydration. Nuun has applied its expertise of optimizing hydration with clean ingredients for athletes by developing a product line for everyone looking to live a healthy life. Nuun Vitamins is formulated with the vitamins and minerals the overall population is most deficient in, plus a balance of electrolytes for everyday activity. Vitamins will be debuted in Canada via retailers Whole Foods and MEC. The company adds that 75% of North Americans are ‘chronically dehydrated, with the majority of fluids adults and children consume lacking the nutrient density they need and littered with added sugars’. This has reportedly been linked to heart disease, diabetes and obesity as well as decreased cognitive and athletic performance. Nuun developed Vitamins as a solution through a precise blend of electrolytes and vitamins for optimal hydration and health. Nuun Vitamins is an effervescent, self-dissolving tablet that is added to water, consisting of 11 vitamins and minerals. It includes those that are the most under consumed micronutrients within the overall public and those that athletes need to consume in larger quantities. These include vitamin A, C, D and E for immune function and antioxidant support, B12 and folate for energy metabolism, and minerals magnesium and calcium for muscle function and bone support. In order to maximize nutrient absorption the levels of each vitamin are 25-50% of the recommended daily value. Fluid delivery is optimized given the complete electrolyte blend and addition of non-GMO cane sugar. Nuun adds that Vitamins has very low sugar, with only 2g per serving and 10 total calories. Nuun Vitamins is debuting in Canada with two non-caffeinated flavours, Blueberry Pomegranate and Tangerine Orange, and two caffeinated options, Ginger Lemonade and Blackberry Citrus. The caffeine is 40mg of organically sourced whole leaf green tea extract. Each tube of Nuun Vitamins contains 12 tablet servings with a retail price of C$8.99. It is also sold in a 4-flavour multi-pack for C$29.99. The line is available at Whole Foods and in store and online with MEC and other sports specialty retailers.